Side lighting? 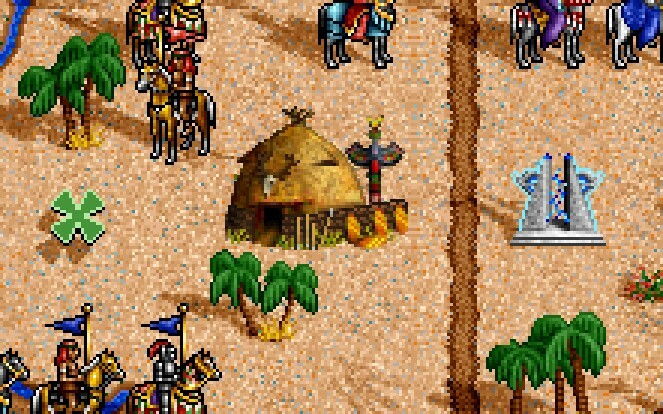 NO for Homm2! 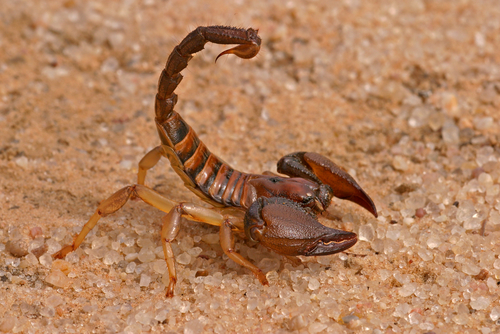 And he was supossed to be more of a desert bandit, with colors fitting his brothers like scorpion or nomad. Reinforced boots, better camo, better weapon and a lot more style.. I for one think those are some great improvements! 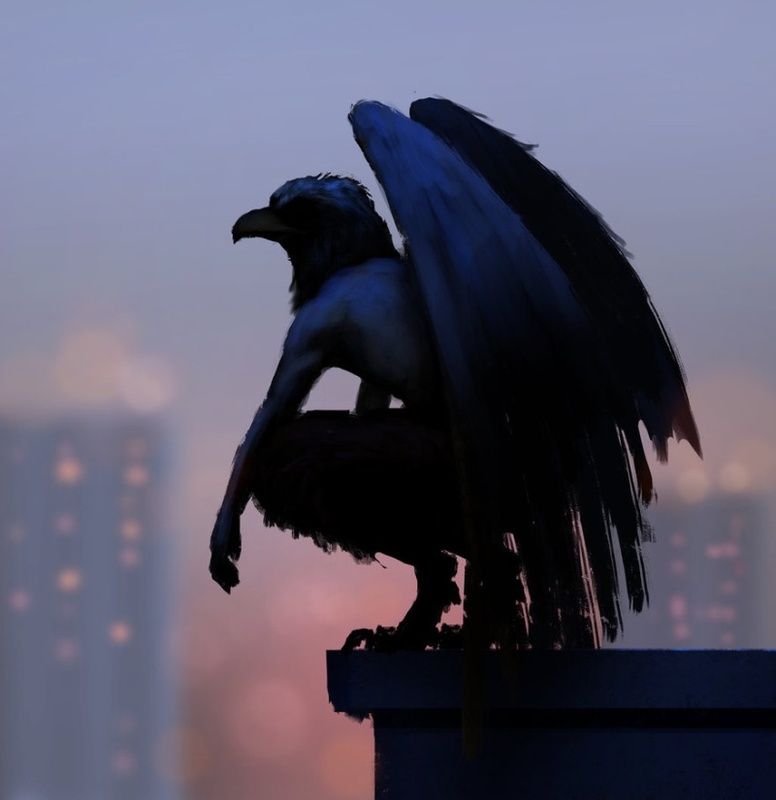 I am very, very fancy seeing upgraded bandit in our mod He would fit better gold and grey line-up of the rest of Dervish creatures. Changes to portraits are small, but relevant, I am only not sure whether Genie has scar on his face or he is crying? It is ranged monster, while it can be still effective melee. Which version do you like better? Javelin or greatbow? Glad to see a fellow artist with a feel of H2 style and gamma. I am very happy about many of your suggestions, so please, feel free to discuss more. The Tribal dwelling even has a special place in my heart now. Very nice idea for the adjustment of the Bandit's blade, it brings H3 memories which is good in this case. 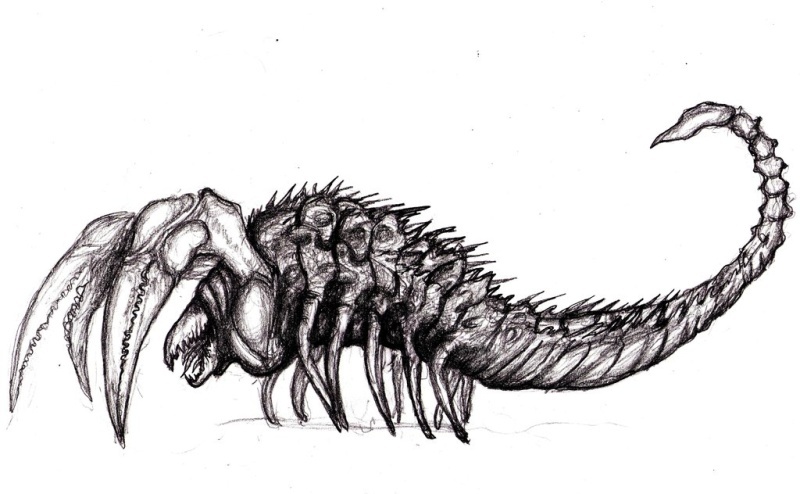 I am also stoked about the gamma you chose for this creature - it seems to be just as I would make it myself. Considering the Medusa Queen, I was thinking about the brown variant, but the longbow as a weapon may suit more (yet, it may need a little redesign so it wouldn't be standing out too much from the main Medusa shape, it may cause graphic glitches otherwise). 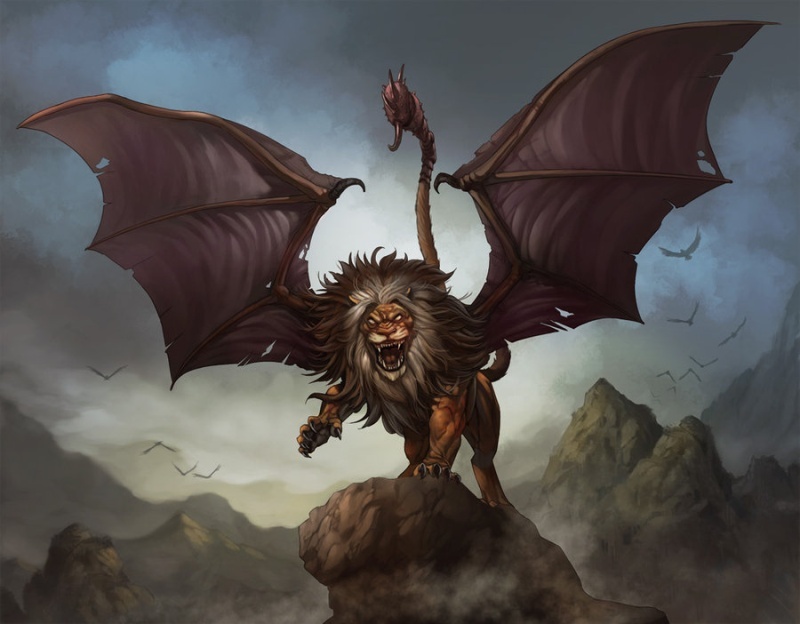 Please, place your new Dervish lineup adjustments on this picture so that we can see the whole bestiary at once and decide what else can be done so it will look whole and complete. 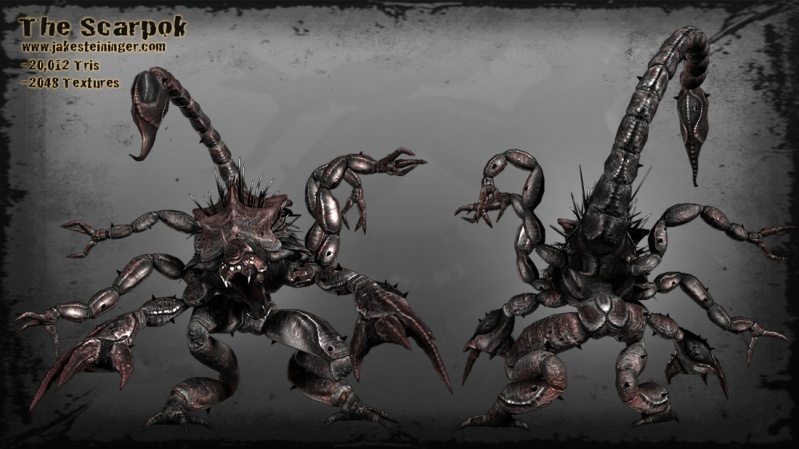 The gamma of the Scorpion may even need reconsideration. I will also need the PNG versions of portraits you presented. Love it! The improvements to the Acolyte are great, it definitely fits a lot better now, I also love what you did with the wand! 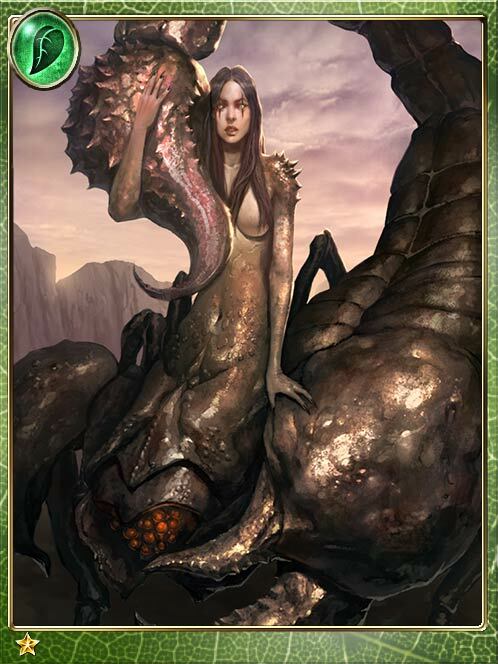 Medusa Queen looks great, the brown colour scheme fits perfectly. I like what you did with the Master Genie, however I think I would remove the horns and the second earring. The decorative marks look awesome! Nice to see you Kivo, it's been a good while. Hope to see you more often. 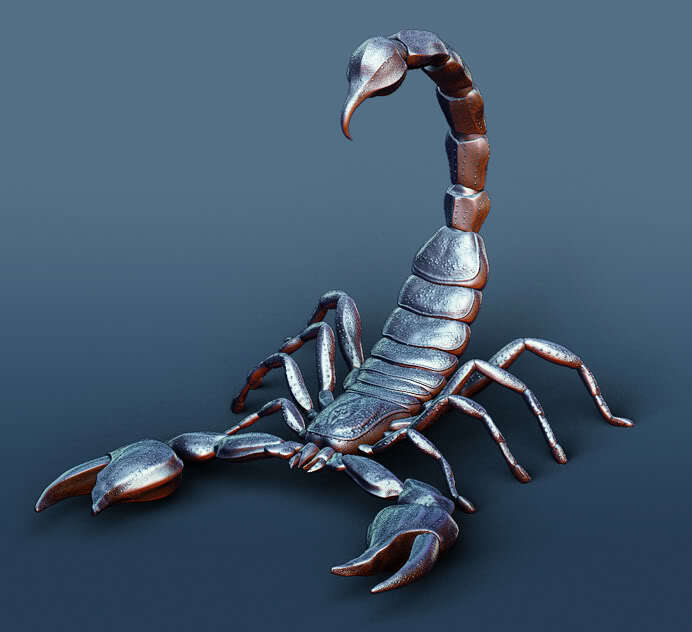 Concerning the scorpion, the left claw's gamma (added in the suggestion) must be carefully adjusted to fit H2 palette. It surely must exist, but H2's yellow color cannot be so lackluster. If you need a H2 palette file for approximate reference, please let me know. We still need to think about the Scorpion gamma and possible design adjustments. As you can see, Scorpion stands out too much near the Nomad because of peculiar Scorpion's lighting and linear size. And yes, not sure yet about the hair, but not yet ready to cancel that idea. Let's decide with the other said aspects first. Okay, the Medusa Queen now looks closer to completion. Same with the Acolyte. Also, a small suggestion for the upgraded Rogue: currently his face needs a little fix for the face, because it reminds the Cyclops's eye a little. very exciting stuff,you are talented! i see you made several edits to the same creature. i dont know,but maybe multiple upgradepaths would be interesting,if anyone is willing to spend the time and animate. there already is an upgrade for bandit,and for me it looks quite good!maybe 2 bandits and/or 2 medusas would work ? anyway,really excited for your work. seeing fans like you create new stuff is one of the reasons i love this place! Really thank you for your comments, thoughts and critique also! If you have any ideas what to do next or perhaps any monster/building vision on your mind I would also like to hear it! Should I do any of these for scorpion's place? 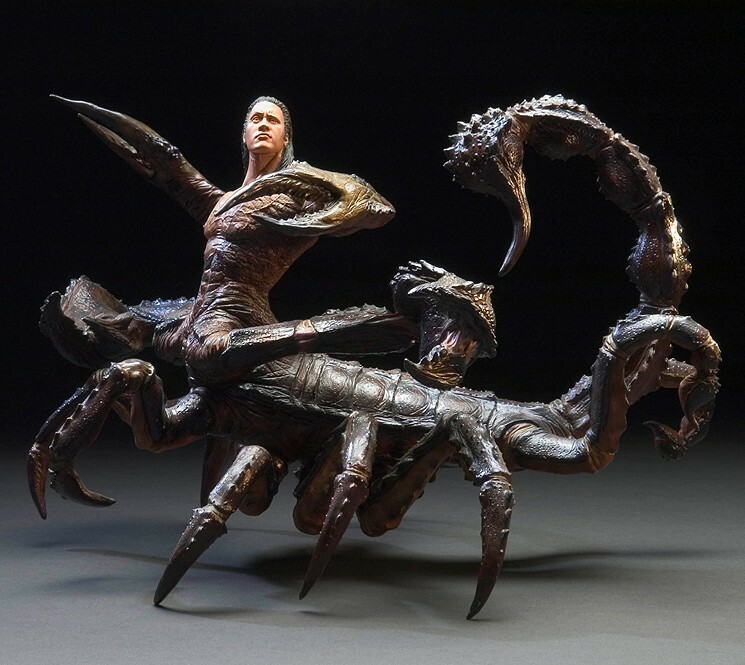 How about just scorpion's different pose? More aggresive..
i honestly cant give any critique,your work looks like official h2 stuff.i think a newcommer wouldnt be able to tell th apart. as for other ideas,my favorite h3 unit is the magic elemental from conflux,black dragon and azure dragon.Especially curious how the magic elemental would look with h2 style. 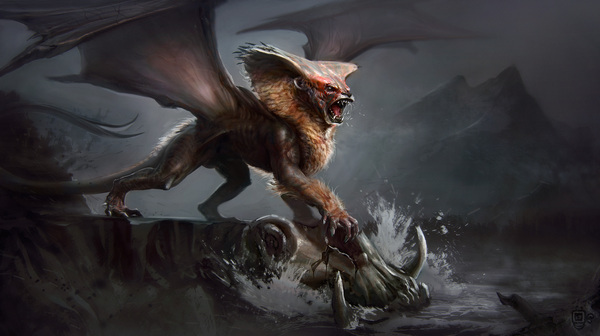 The creatures look fantastic, Ragoon! Very professional looking and they fit right in. If you want some critique two things spring to mind. 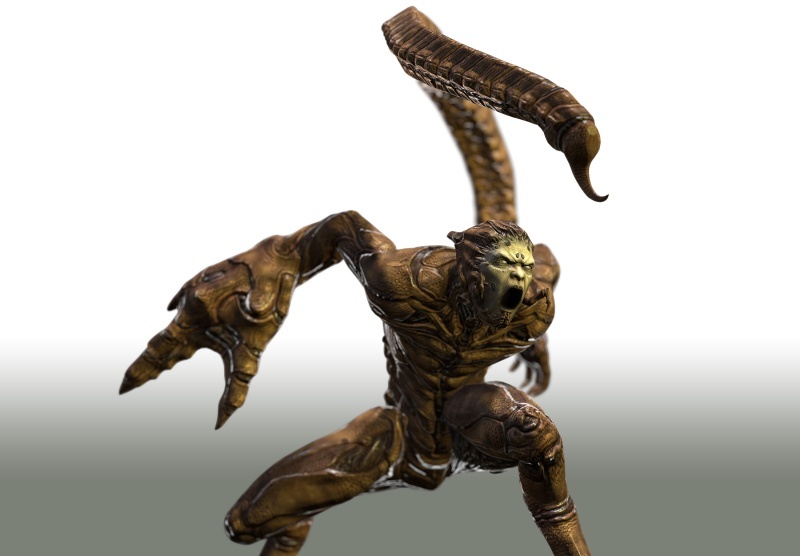 The upgraded Acolyte might be a bit too close in resemblance to his un-upgraded version. And the master genie, and this is just my personal taste, is a bit too monsteresque. I'd love to see the classic turban and the horns gone. But this version has personality as well and I probably could get used to it and couldn't care less, because it looks beautiful. 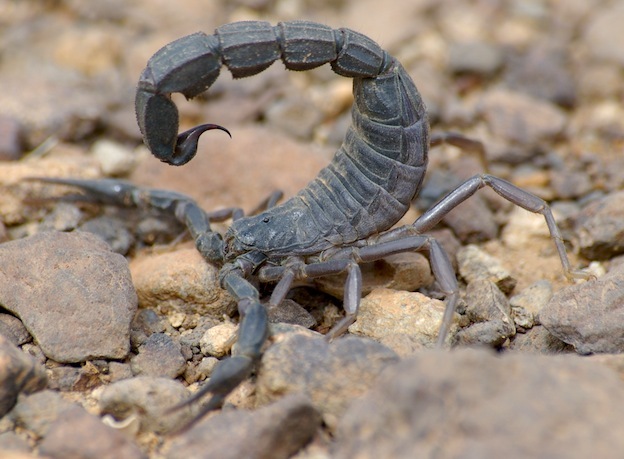 It looks like a scorpion requires more accented, edged segments instead of ideally round ones, but not hair. And... may you try a light-gray or light-brown bow for medusa? I mean a bow that would look like a bone-bow. Acolyte: could his right hand be a little bit lower. 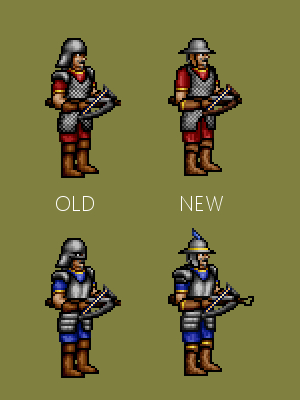 Now both your improvement and original image look like an acolyte has stump-short-forearm. I don't know personally about the Genie's upgrade, it was not planned for the next version at least. 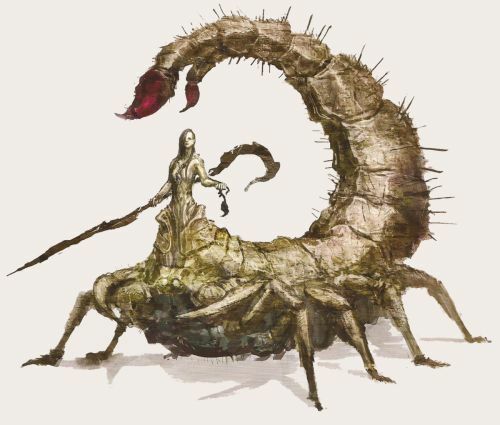 Concerning the Scorpion, its design must be simple. The only problem with the current version is that it has too monochrome gamma; it needs an auxiliary color (see Boar for example) and some possible shape fixes. 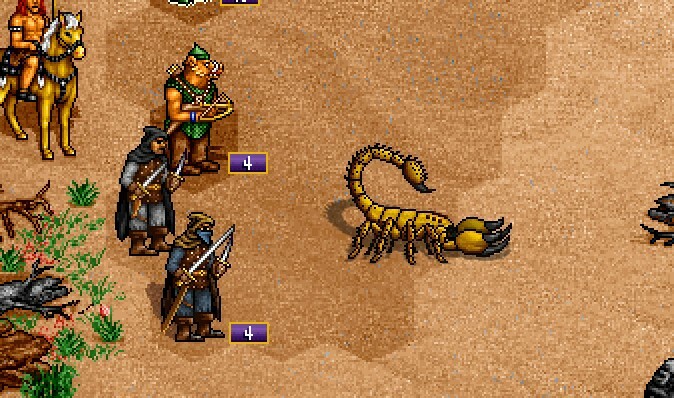 The color transitions for the Scorpion can also be manipulated (currently the Nomad's horse has too different yellow color transitions in comparison with the Scorpion which is a neighbouring creature in the lineup). I've been checking out this thread for a while...your art is one of the best on this website! I am glad you will come back and upload some more stuff! 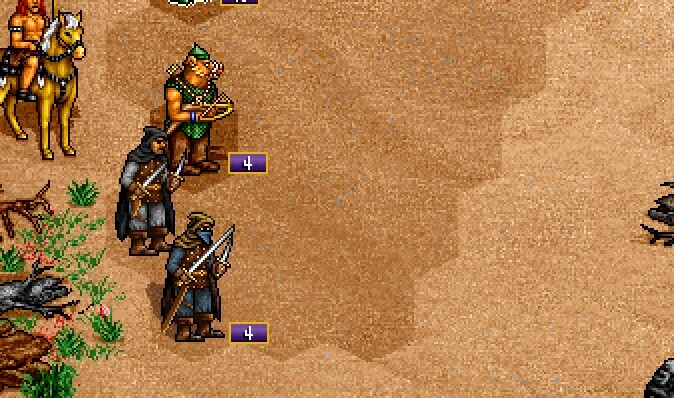 The guys working on this mod need a lot of help, and few are willing ( and able) to create pixel art! This is really good stuff. A bit surprised by the overwhelming preference for the brown medusa, I thought the blue one was top notch the moment I saw it. Brown one was bland by comparison. Striking colours in nature are usually indicative toxicity or a high nutritive value. 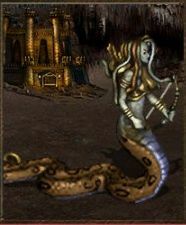 The unupgraded medusa, with it's bright greens, doesn't just use associative imagery of snakes, but of highly poisonous ones. This is stuff we subconsciously pick up on even if don't do so consciously. Hence, it looks more dangerous. Going from a bright green to a dull brown reduces this effect. 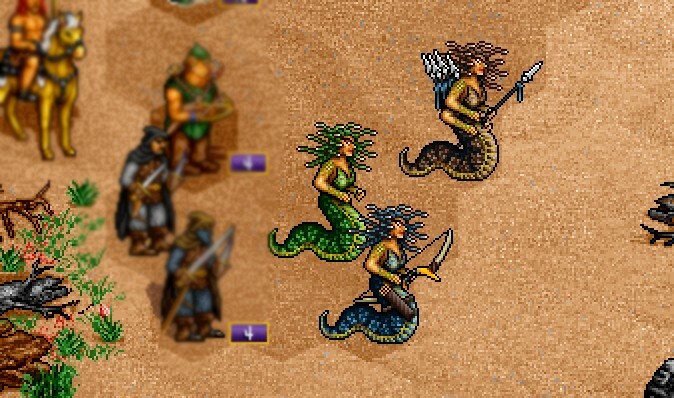 Sure, they did it in the medusa upgrade path in HOMM3, but the browns on the medusa queen was contrasted with a pale blue underbelly and a sickly grey-green torso. 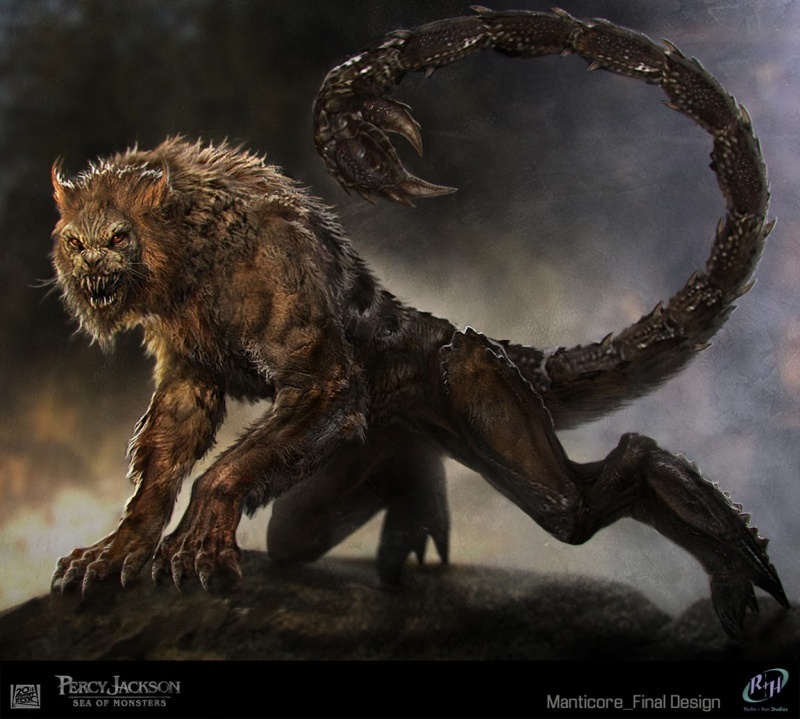 I think the hairs look good on the scorpion, too, it looks more dangerous now. 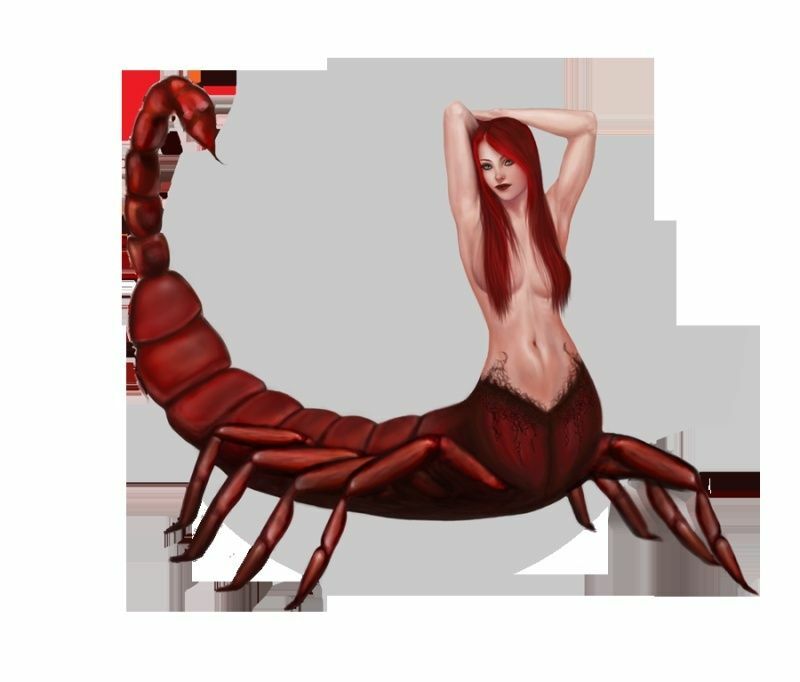 I don't know enough about this stuff to say what's causing it, whether the angles of the hairs, the shading or what, but it looks like the tail of the scorpion is twisted some 45 degrees toward the screen, and when the body is juxtaposed with the angle of the other units it looks like it's all askew, as if it's leaning away from the screen while the other units are standing upright - you know, like it's dropping it's weight on it's four left legs and flexing it's right legs. Love the genie. Horns/no horns, turban/no turban - I don't care, this is great work already. Acolytes - amazing, can't think of anything at the moment to improve. If I had to say something, perhaps the long sword on the upgraded rogue form, is a bit too long for an assassin/rogue? Let me explain my thinking. I always had this mindset about rogues, back from dnd days. The shortest and sharper the dagger, the more effective it is. Long sword is really not the best weapon for rogues. Not fast enough. Not piercing enough. Not deadly enough. Rogues are supposed to use poison on their fast daggers and sneaky tactics/backstabs. Anyway I just wanted to mention this, it's just my opinion after all regarding the tricky rogue/bandit creatures in rpgs and fantasy settings. Shorter/sharper/piercing weapons seem to suit them more than slashing ones that's all. Genies - the Horn on the upgraded form puzzled me too for a bit, but on the other hand it's so neatly done, that there's really no need to nitpick anything here. I have no problem with it, it even seems like this Genie is more aged/wise due to your touches. 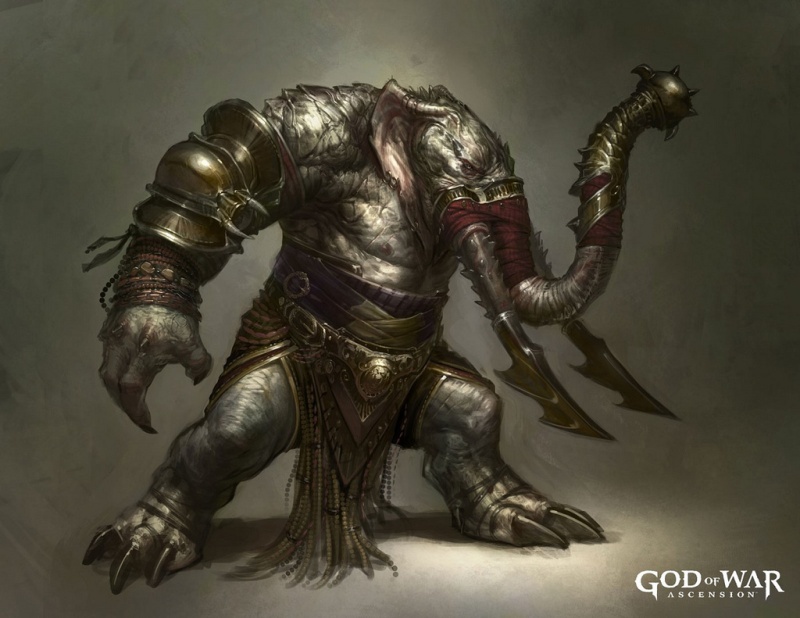 Which is a great idea for a Master/Elder Genie. 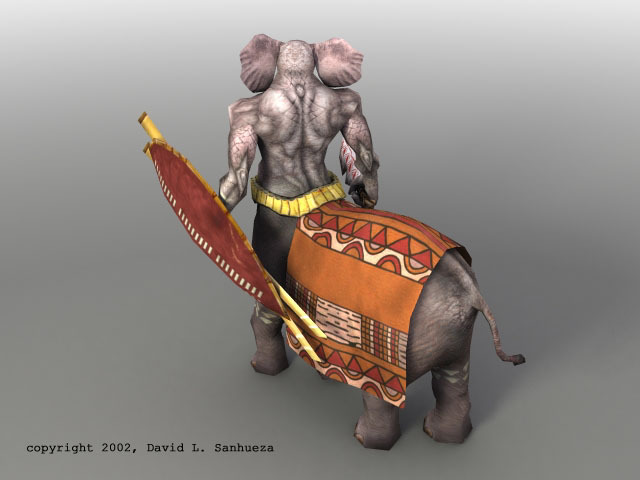 I love the fact that you ended up using the brown model and the Bow, I love the artwork too, however the brown color is just too much here right? Maybe the snakes on the head could remain as some kind of hue of green? Or change the upper torso to some other color to seem more toxic etc? 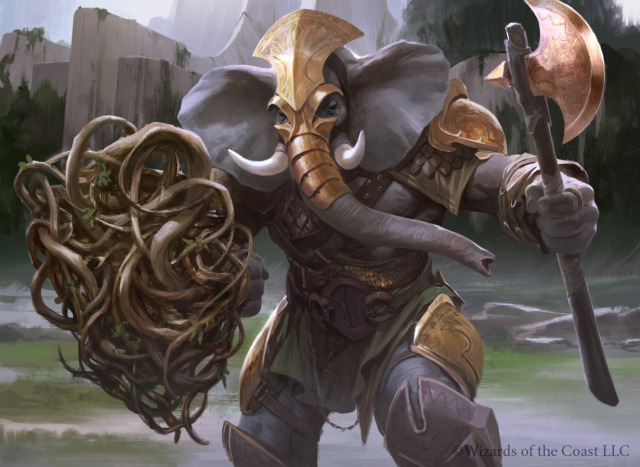 I really feel as the lower torso is great as brown, but the rest, especially the snakes, seem awful as brown. 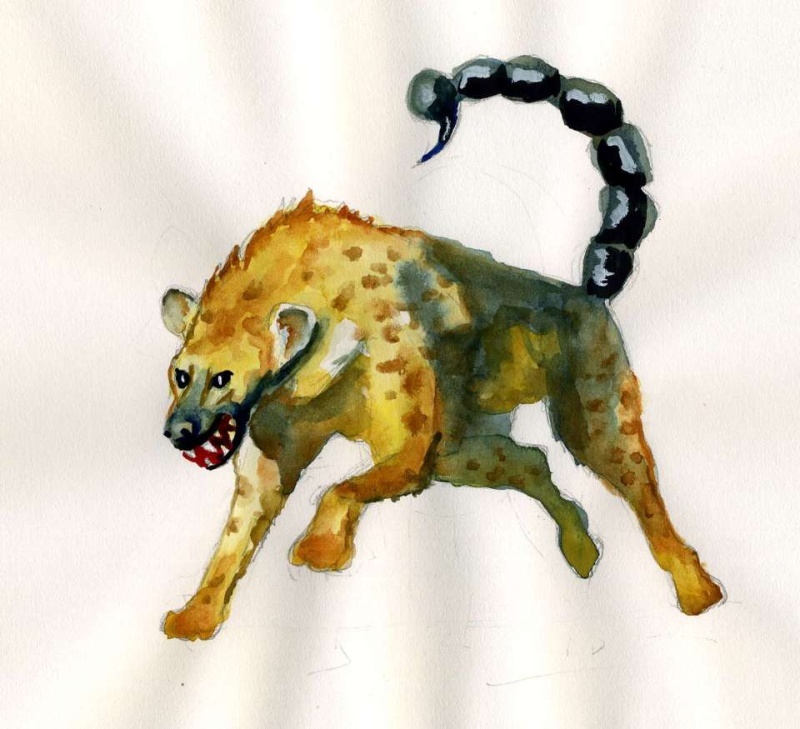 I definitely think more experimentation can be done here regarding variety of colors and shading in this creature. Honestly. Artwork is perfect though. So just a matter of trying stuff with shades/colors imo to find the right combination.So all in all, I kinda agree with previous poster here regarding the Medusa. Perfect, I somehow prefer the model with the touches of hair details. But maybe it's just me. Either way both seem fine. Simply flabbergasted by the attention to detail here ! WHY are you asking for "green poison"?! Poison is not necessarily green, health is not necessarily red and mana is not necessarily blue. Deal with it. Well, Heroes 2 is a game which is as simple as it was made for kids. So that too much originality is not a feature of this game, for sure. Hi, I've made another creature upgrade, this time - crossbowman. Thanks for patience and sorry for the really, really long delay. Awesome job! I like the solution with the helmets. I am going to adjust the lighting & stuff personally. 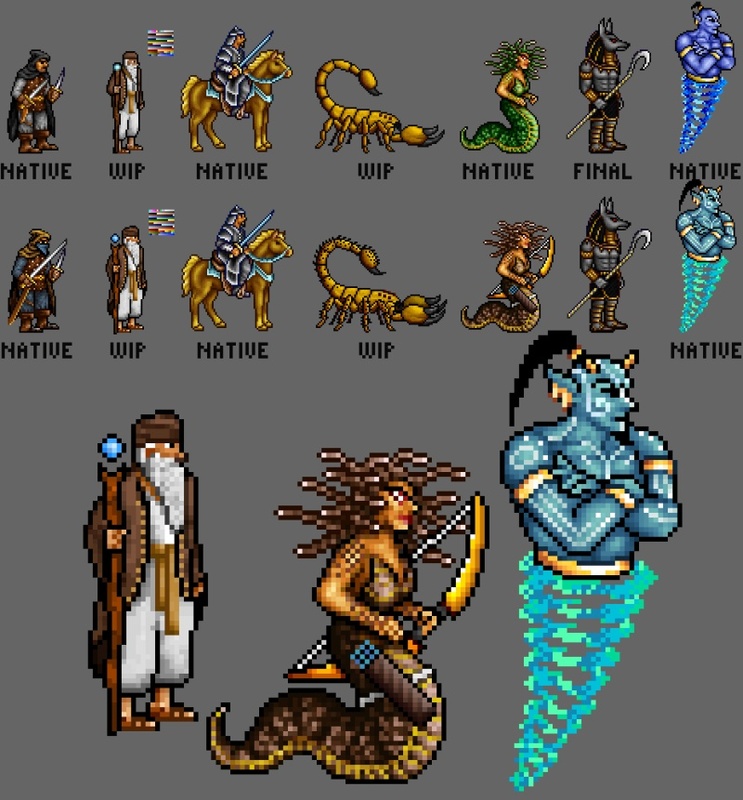 Please send us the proper PNG or BMP versions of the creatures (Acolyte, Medusa Queen, Crossbowman and Marksman, anything else I forgot) so we can start animating them for the release. P.S. Tinypic is not a very good image hosting because it ruins the quality and palette so we cannot use the images you post here. Moreover, it started to remove its old images just like it was with Imageshack before. Imgur or Postimg work much better and are at least reliable. No loading staple, please. Unless someone wants to use it in animation. This is the part the H7 crossbowman was criticised for. No leg-using loading -> no staples. Like the new helm, thou it needs a slightly different angle perhaps.